Thanks to efficiency programs offered by Illinois’ major utilities saving energy—and money— is easier than ever before. Lighten your utility woes by switching to newer energy-saving bulbs, such as ENERGY STAR CFLs and LEDs. Compared to traditional bulbs, they use less energy, last significantly longer and keep more money in your pocket. Better yet, ComEd offers lighting discounts. All you have to do is look for products that have the ComEd “Lower Price” sticker at participating retail stores. You have to be an Ameren residential electric customer who owns a full-size fridge or freezer (10-27 cubic feet) that still works. If that’s you, grab your account number and schedule an appliance pickup online, or to schedule a pickup by phone call 1-866-899-9088. The utility will only recycle two refrigerators and freezers for you per program year. Don’t let the upfront cost of buying energy efficient household appliances and equipment scare you. According to the Department of Energy, consumers who replace their appliances with newer models can save nearly $250 a year, and those savings are expected to grow to $360 annually by 2030. Plus ComEd’s energy-efficient appliance and smart thermostat rebates help to ease some of the initial burden. Interested shoppers should call 855-433-2700 or go online to review eligibility requirements and complete rebate applications. If you’re trying to reduce both your water and energy usage, then you’re in luck. The Peoples Gas and North Shore Gas Home Energy Jumpstart Program offers participants a free personalized home energy assessment, and installation of free energy-saving products, such as smart power strips, efficient light bulbs, low-flow shower heads, and programmable thermostats. You can also choose to have a smart thermostat and LEDs installed which are available for purchase at a discount. The home energy assessment technician also identifies additional ways for you to save during the review. The Home Energy Jumpstart program is available to owners of single-family homes, two-flats, condos and townhomes. Renters don’t worry; you’re also eligible, with permission from your landlord. Call 1-844-367-5867 to get started. With fall around the corner, it’s time to get your home ready for the colder months, and Nicor’s energy efficient heating and weatherization rebates can help. Rebates for energy efficiency improvements and products, such as attic and wall insulation, installation of high efficiency furnaces and boilers, and duct sealing, are available to all current residential Nicor Gas customers. Learn how to install qualifying products and complete home upgrades online. The programs you see here are just the tip of the iceberg when it comes to programs that prove it pays to be energy efficient. 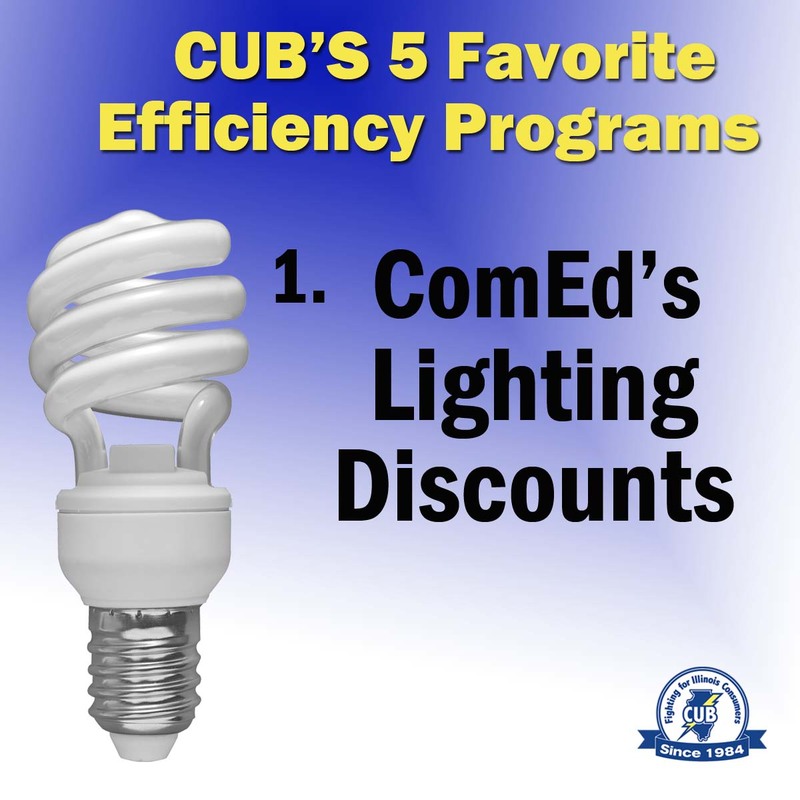 See CUB’s Energy Efficiency page. Have we failed to mention a program you love? Share it in the comments below!